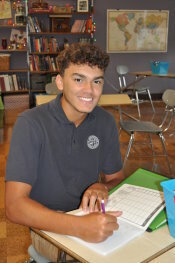 Catholic education in Lycoming County has thrived and flourished in our area for more than 130 years, enlightening thousands of students with the gift of an academically and spiritually challenging education. At Saint John Neumann Regional Academy, we are proud to be the centralized Catholic educational system in Lycoming County for the Diocese of Scranton. This system ensures the presence and privilege of a Catholic Education for all children from Preschool through 12th grade. Our Academy is the right choice for your child, ensuring that they will be on the Path to a Higher Education. The Gospel of Jesus Christ and the Catholic faith will be the foundation of everything we do. Religion and Theology will be taught daily and promoted as the most important part of our curriculum. The celebration of Mass and the offering of Penance will be essential and frequent parts of our academic calendar. Prayer will begin and end every day and be present in virtually every class and school activity. Children will be educated in an environment full of religious art, sacred images, and contact with priest and religious sisters. An age appropriate promotion of the Church's pro-life, pro-family, pro-chastity teachings will distinguish us from the popular culture. All students will be familiar with Catholic traditions of the spiritual life: Eucharistic adoration, the Rosary, the liturgical year, and devotion to the saints. We will ensure that the spiritual and moral formation of our children is paramount, for without this, no education is complete. In summary, Catholic schools offer that which matters most and best serves the parental obligation of Catholic faith formation. Local government schools do not. By law, they cannot. 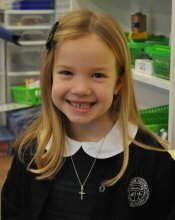 Catholic schools are the right choice for you!